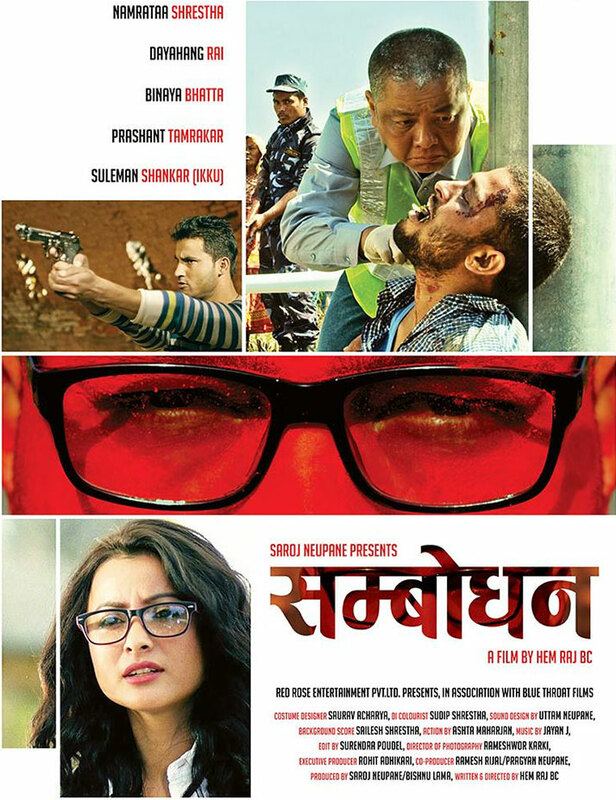 Sambodhan is the Nepali movie starring Dayahang Rai, Namrata Shrestha, Binaya Bhatta, Prasant Tamrakar, Suleman Shankar (IKKU), B.S Rana, Kopila Thapa, Raju Lama, Prem Joshi, Sushma Lama. The movie was made in the banner of Red Rose Entertainment & Blue Throat Films. Despite the huge names like Dayahang Rai and Namrata Shrestha sharing the screen, the movie was not successful as expected. A film by Hem Raj BC, Presentation of Red Rose Entertainment Pvt.Ltd and in Association with Blue Throat Films, Saroj Neupane Presents Nepali Movie Sambodhan.